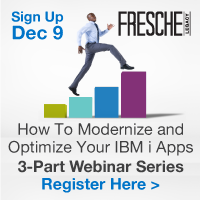 Want to learn how to modernize your IBM i apps with an effective strategy? Join our three-part webinar and learn how to successfully plan, start, execute and optimize your IBM i application modernization projects. The pressure for IT to respond to rapid business/competitive changes and provide innovation leadership to the business is constantly increasing. Legacy application portfolios often present significant challenges when it comes to change and agility, so modernization is an absolute necessity. 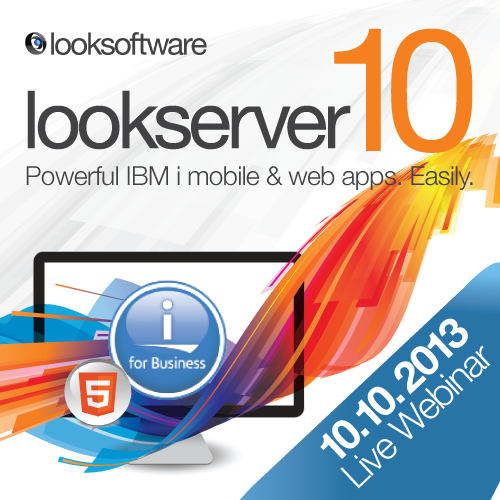 How do we transform our legacy applications into modern systems with browser and mobile interface access? How do we put them in the cloud? How do we give the business transparent and meaningful access to our "Big Data"? More importantly, where do we start? Our webinar series is designed to answer these questions and teach you how to carry out a successful modernization project, step-by-step. Register today to access Part 1, 2 and 3 of the on-demand series.